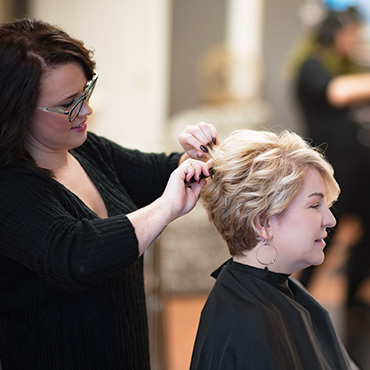 We cater to everyone, whether it's perms, color, highlights, an up-do for the prom, a bridal party that wants the works and everything in between. Make an appointment today! Keratin Treatment - Keratin Complex treatments and styling products are specially formulated to contain natural keratin protein to help rebuild hair. It restores and rejuvenates hair for more manageable styling.